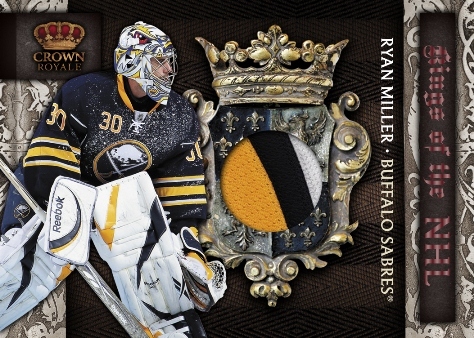 Crown Royale makes it's triumphant return to the hobby this March packing plenty of hockey's biggest names past, present and future into each pack. 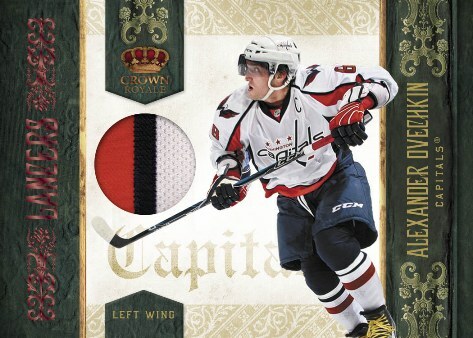 Crown Royale features a classy and somewhat fancy card design that is sure to please the eye. 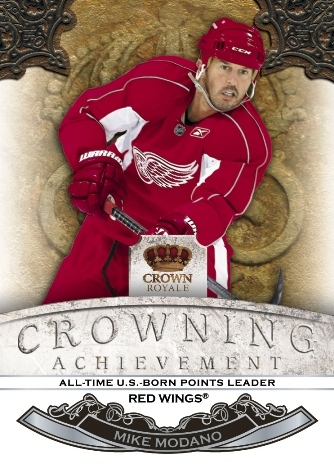 Each box of 2010-11 Crown Royale will deliver 4 hits and a host of intriguing die-cuts, rookies, relics, and autographs. 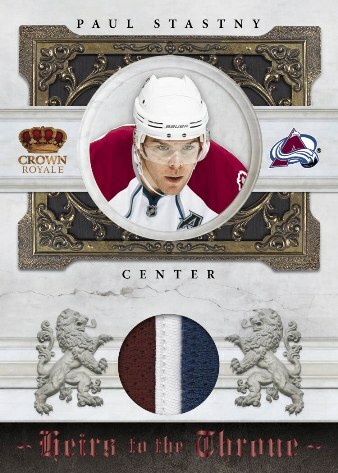 Rookie Sihouettes Rookie Cards: Die-Cuts featuring patch and on-card auto! 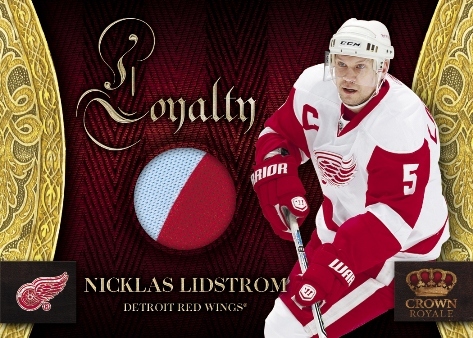 Rinkside Signatures featuring notable penmen Taylor Hall, Joe Sakic, Alexander Ovechkin, Mario Lemieux and more! 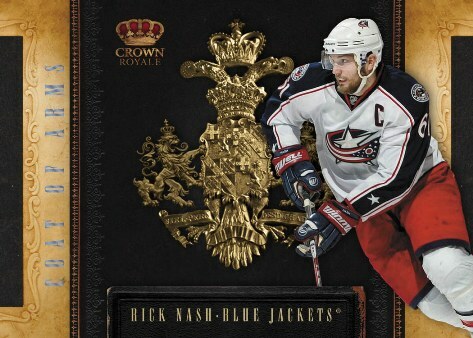 The wickedly innovative, abundantly royal release is unlike anything else on the hockey market today and will deliver one autograph or memorabilia card per pack and a whopping 14 autographs (at least) per case. 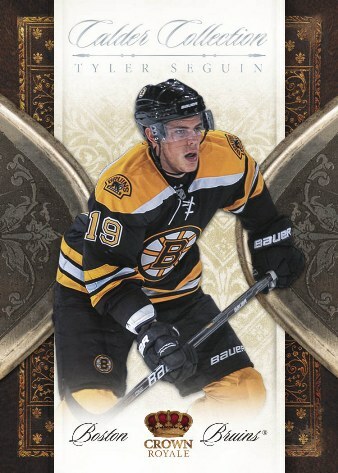 Classy and somewhat fancy truley intriguing card design! 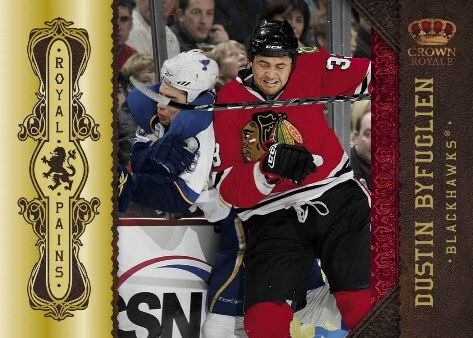 Royal Pains Inserts featuring Hockey toughest players! 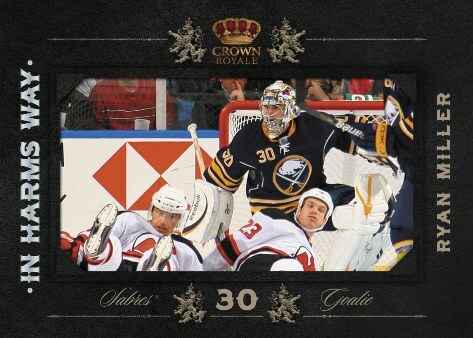 In Harms Way Inserts featuring the NHL's premier net minders! 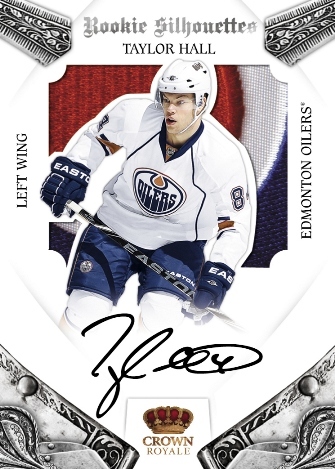 Calder Collection inserts featuring the season's top rookies!